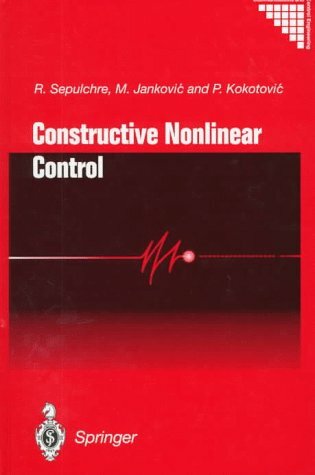 In this book several streams of nonlinear control theory are merged and directed towards a constructive solution of the feedback stabilization problem. Analytic, geometric and asymptotic concepts are assembled as design tools for a wide variety of nonlinear phenomena and structures. Dynamic System Modeling and Control introduces the basic concepts of system modeling with differential equations. Supplemental materials at the end of this book include a writing guide, summary of math topics, and a table of useful engineering units. This book presents methods to study the controllability and the stabilization of nonlinear control systems in finite and infinite dimensions. Examples are given where nonlinearities turn out to be essential to get controllability or stabilization. This monograph develops further and refines methods based on input -output descriptions for analyzing feedback systems. Contrary to previous work in this area, the treatment heavily emphasizes and exploits the causality of the operators involved. These notes are an overview of some aspects of optimal and robust control theory considered relevant to quantum control. The notes cover classical deterministic optimal control, classical stochastic and robust control, and quantum feedback control.